A few days ago, All Mexico Pass launched an awesome contest challenging travel bloggers to plan and live a unique adventure in Mexico. From A World to Travel, and as #Fitur2013 Spanish bloggers, we would like to share our proposal with you. With 2 million square kilometers and bordered by USA, Guatemala, Belize, the Pacific Ocean and Caribbean sea; Mexico has a population of over 115 million people, with an estimated 10% of indigenous people. There is, though, more Mexico than the one Hernan Cortes conquered in 1519. In fact, 7000 years BCE, this land could see how nomadic hunters became sedentarians thanks to agriculture development. 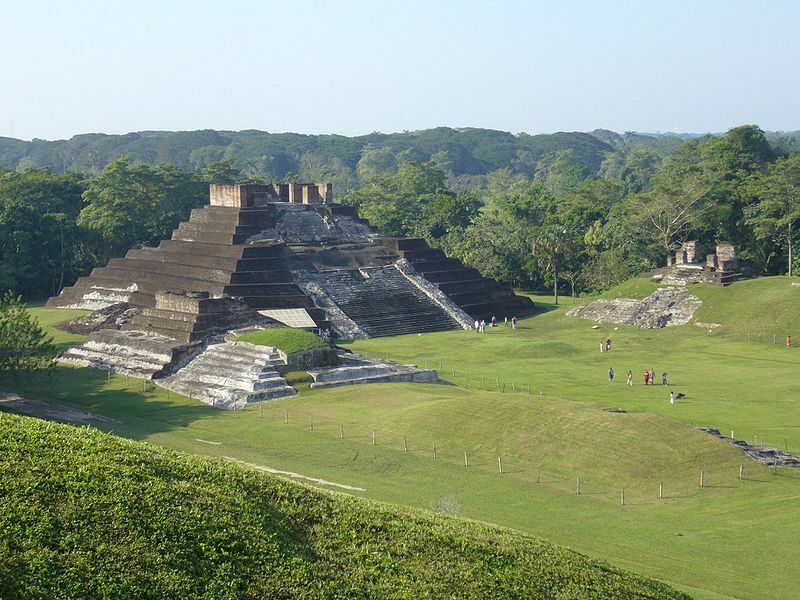 From then on, well-known civilizations such as the Olmec, Maya, Zapotec, Toltec, Mixtec, and Aztecs ruled this vast area and leave a huge legacy behind. Today, the 31 free and sovereign United Mexican States host the largest amount of tourists in Latin America. Our route will go through 8 of them: State of Mexico, Puebla, Veracruz, Chiapas, Tabasco, Campeche, Yucatan and Quintana Roo. 10 days, 9 nights and a reliable bus company with some of the most comfy buses we’ve ever seen will take us from the capital, Mexico DF, to one of the paradise-on-earth world dream destinations, Cancun. Colonial cities, antique civilizations, Unesco Heritage sites, unique biodiversity, world tourism complexes, unique cuisine and welcoming locals. Bienvenidos a Mexico! You can have a closer look at our itinerary here. A Madrid – Mexico DF Aeromexico flight will leave us pretty much in one of the biggest cities in the world. 2240 meters above sea level, it is located in the Valley of Mexico. Originally the Aztec Tenochtitlan, it was rebuilt according to Spanish standards after being semi-destroyed by a siege in 1521. After getting settled, sights like Zocalo (main square, surrounded by the National Palace and Cathedral), Frida Kahlo Museum and Xochimilco bustling canals are awaiting us! Sure, the first day of this adventure couldn’t go away without starting to experience the intense and varied local food. Dishes like carnitas, menudo, barbacoa, tamales and pozole will water our mouths! It would be great to stay for longer in Mexico DF, but we have to keep going! 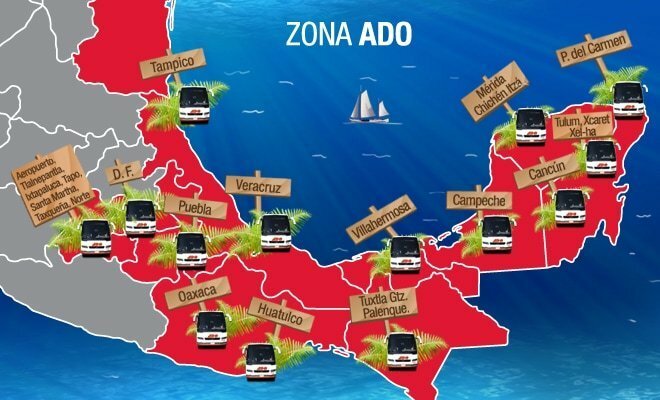 ADO buses have a special pass to discover all the Mayan Mexico we want to take advantage of! On our way to the coast, it would be also nice to wander around the colonial city of Puebla with its great background snow-capped volcanoes. But this time we choose the World Heritage ruins of Tajín. 17 ball courts and the well-known Pyramid of the Niches were built from 600 to 1200 C.E. It could also be a good opportunity to check out a Papantla’s famous “voladores” show. The second day could easily finish in Veracruz, seaside town also the capital of the state. Imagine how amazing could be to arrive during the Carnival! and, how does a seafood dish in the city’s port sounds? Along the coast, we would go through Laguna Catemaco before arriving at Comalcalco; the most western Maya site known to date. Famous as well for being built with fired-clay bricks, today it showcases 2 pyramids and a square. Villahermosa and Tapijulapa, two beautiful cities of Tabasco state complete this journey. Chiapas’ paradise-like nature has some surprises for us. Agua Azul falls, El Chiflón, Sumidero Canyon, and Montebello lakes are sights we couldn’t miss. There are also multiple adrenaline sports companies in the area. I am pretty sure we would enjoy a zip-line, some kayaking or simply indulging ourselves with some hiking and plunging! 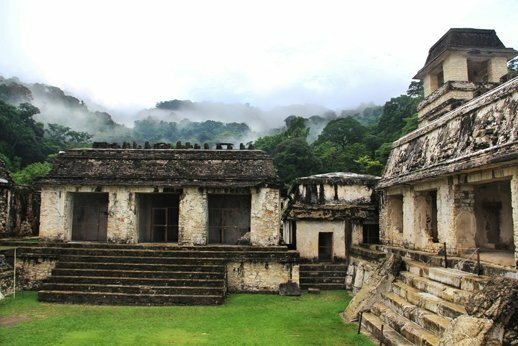 Dating back to 226BC, Palenque Maya ruins were excavated and restored after being absorbed by the jungle. It is estimated that the big picture is still covered. 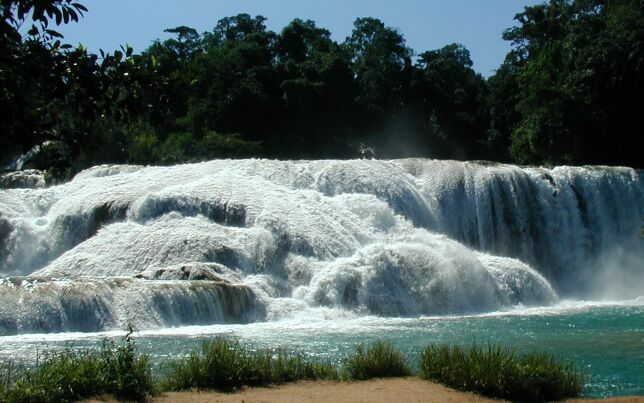 Next, Misol-Ha waterfall would be another great example of Chiapas natural wonders. After visiting those places, it will be time to jump on an ADO bus and head to Calakmul! 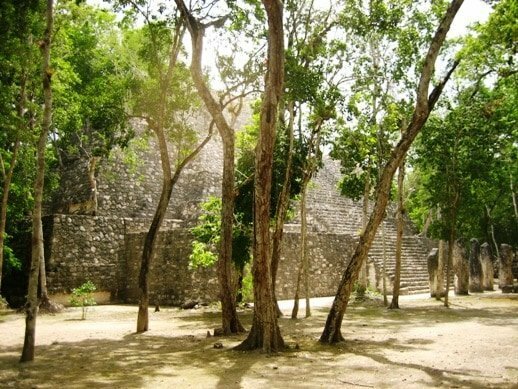 Already in the Mexican state of Campeche, with almost 7000 structures identified, Calakmul was a major Maya city. Located in the middle of a Biosphere Reserve, it is also part of the Unesco’s World Heritage sites. Kabah and Uxmal, two Mayan cities connected by an 18 km long 5m wide pedestrian causeway; along with the Temple of the Masks or the Pyramid of the Magician will be the sights of the day. Already in Yucatan, the small and quiet fishing town of Celestún could be the ideal place to spend the night. 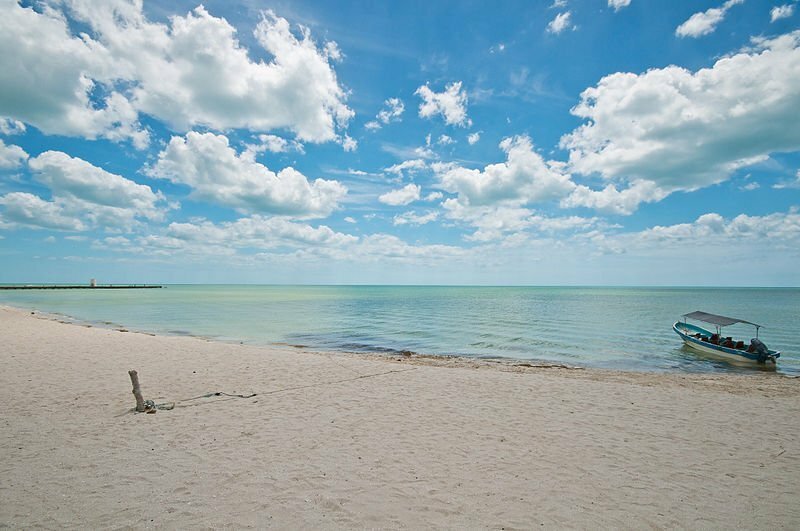 Part of the Gulf of Mexico, it would be just great to have breakfast the morning after in front of its turquoise waters. Morning bath in the beach, anyone? Willing to have some time to stop in the capital city of Merida, where the Maya ethnicity represents 60% of the population; ADO buses would take us to Chichen Itza. With a variety of architectural styles at the site, these ruins are visited by more than 1 million tourists yearly. At sunset, we could head to the state of Quintana Roo to get ready to explore the Yucatan peninsula next day! 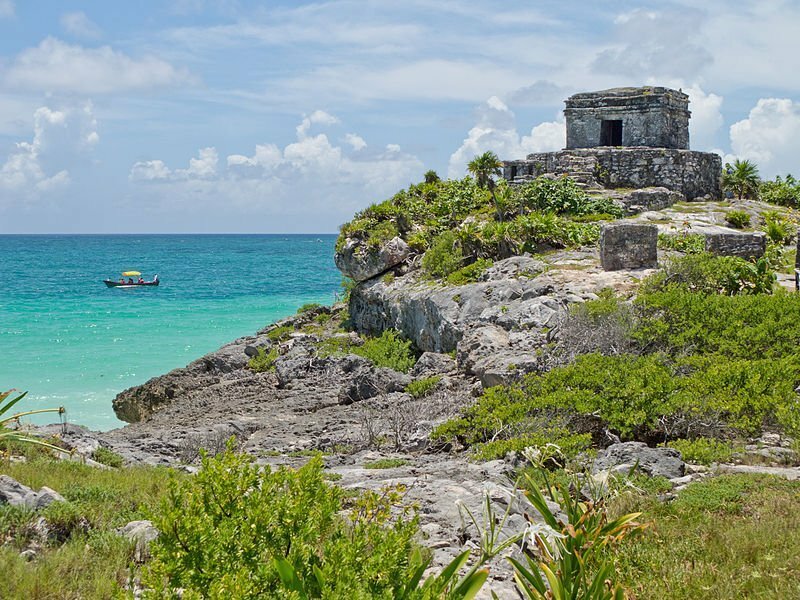 Time for visiting Tulum ruins. Along the peninsula’s east coast, they are situated on a 12m cliff facing the Caribbean sea. The God of Winds temple is a picture perfect background! 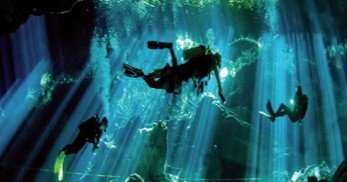 In the afternoon, after a quick dive in a cenote, Xel-Ha or Xcaret park could keep us busy. Finally, the tourist resort town of Akumal could be a nice spot for our last night in the country. 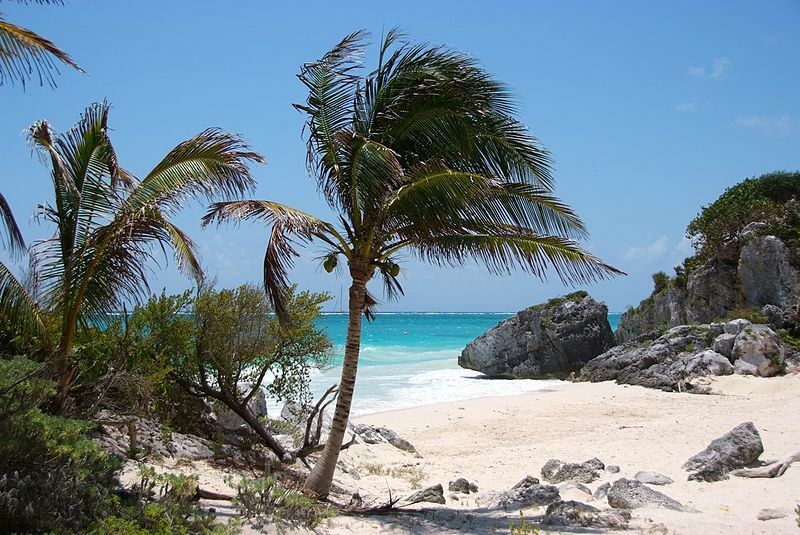 If we had some time before our flight departure from Cancun Airport; I couldn’t think of anything else than resting and enjoying ourselves in one of the well-known beaches of Riviera Maya. Please, treat yourselves! Feeling curious? Follow #RutaMayaSoñada and start planning your next trip to Mexico. Pictures by uwebart, ros k, Daniel Schwen, carlosvanvgas, David Tuggy, Aromgom, Miguel Marn, Ricraider, cenote de dos ojos and kadellar. Thanks 🙂 let’s see if we get lucky.. ! Amazing trip! !… I hope we will meet in México! I’ve loved yours too 🙂 fingers crossed! Well, I think that this post is the winner to a trip to Mexico! It’s so? 🙂 yep! news about it coming soon!! Lots of posts to come in April ! A great trip to a great country with so much historical sites to share with the world. Thanks for sharing this tours with those of us who are not able to travel to these exotic places.